We are currently living in a crazy world where maintaining a relationship is becoming a mystery due to the increase of cheating cases. 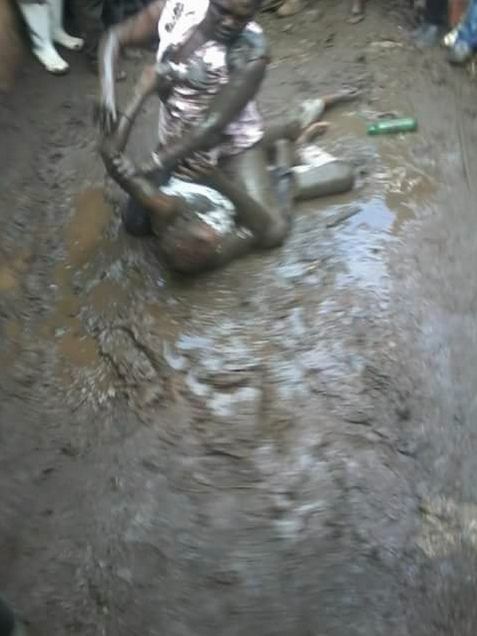 Well these ladies decided to take the law into their own hands after they took some few too many and wrestled for a man on the muddy roads. 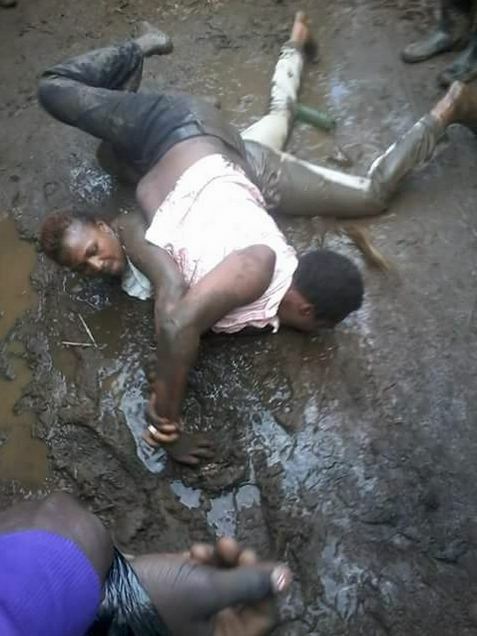 Here are photos of the two mature women fighting for the man of their lives.